Rebeca felt that it was her duty. She believed that she was teaching the animals morals. I know that sounds a little strange but if you knew Rebeca you would know that she always had her own way. 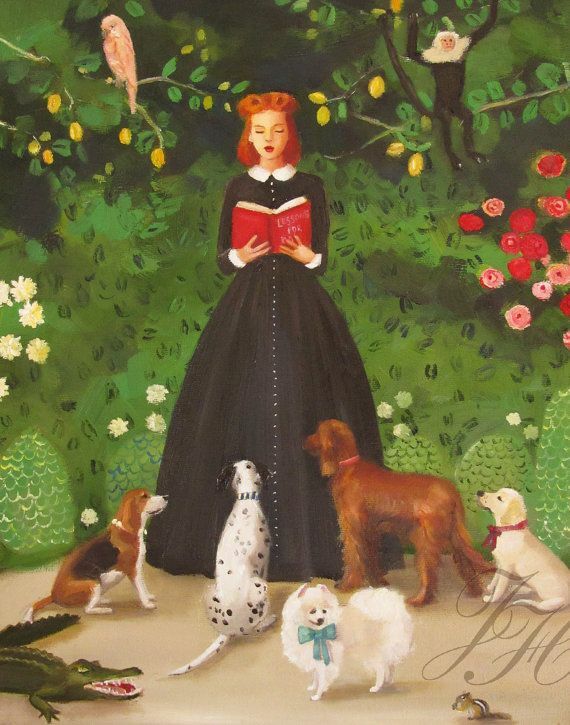 I don’t know where she got the idea from, and frankly I don’t much care, all I know is that at 4pm every day, except Sunday, she would dress up in her most morally correct dress and read stories to the animals. I say animals, but mostly it was dogs with a few birds, a squirrel, and for some unknown reason, a crocodile. The whole thing is incredibly bizarre, and just a little bit concerning. Rebeca has the most beautiful red hair, but frankly, that is no excuse. She does have an excellent speaking voice, but that is still no excuse.